Ryan Cartwright is a sophomore and a first year staffer. 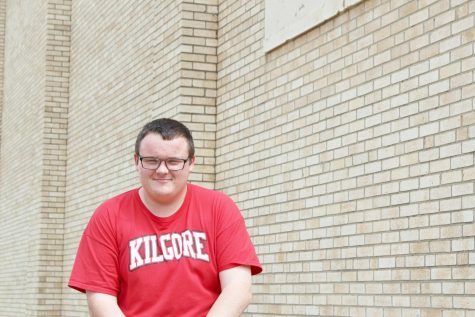 He was born in Dallas, Texas and moved to Kilgore in 2016 after 7th grade. He is not currently in any clubs or organizations. During his free time he likes to play basketball, and baseball outside with his friends and his brother, and likes to spend time with his family. He is the kind of student that is always willing to help other students and teachers, and is always willing to learn new things everyday. He also loves to attend the sports events especially the football games every Friday night.